In biochemistry and pharmacology, a ligand is a substance that forms a complex with a biomolecule to serve a biological purpose. In protein-ligand binding, the ligand is usually a molecule which produces a signal by binding to a site on a target protein. The binding typically results in a change of conformation of the target protein. In DNA-ligand binding studies, the ligand can be a small molecule, ion, or protein which binds to the DNA double helix. The relationship between ligand and binding partner is a function of charge, hydrophobicity, and molecular structure. The instance of binding occurs over an infinitesimal range of time and space, so the rate constant is usually a very small number. Ligand binding to a receptor protein alters the chemical conformation by affecting the three-dimensional shape orientation. The conformation of a receptor protein composes the functional state. Ligands include substrates, inhibitors, activators, and neurotransmitters. The rate of binding is called affinity, and this measurement typifies a tendency or strength of the effect. Binding affinity is actualized not only by host-guest interactions, but also by solvent effects that can play a dominant, steric role which drives non-covalent binding in solution. The solvent provides a chemical environment for the ligand and receptor to adapt, and thus accept or reject each other as partners. 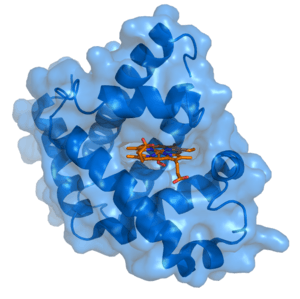 Binding affinity is most commonly determined using a radiolabeled ligand, known as a tagged ligand. 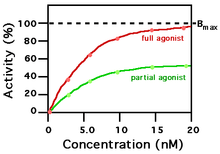 Homologous competitive binding experiments involve binding competition between a tagged ligand and an untagged ligand. Non-labelled methods such as surface plasmon resonance, dual polarization interferometry and Multi-Parametric Surface Plasmon Resonance (MP-SPR) can not only quantify the affinity from concentration based assays; but also from the kinetics of association and dissociation, and in the later cases, the conformational change induced upon binding. MP-SPR also enables measurements in high saline dissociation buffers thanks to a unique optical setup. Microscale Thermophoresis (MST), an immobilization-free method was developed. This method allows the determination of the binding affinity without any limitation to the ligand's molecular weight. Bivalent ligands consist of two connected molecules as ligands, and are used in scientific research to detect receptor dimers and to investigate their properties. Bivalent ligands are usually large and tend not to be ‘drug-like’, limiting their applicability in clinical settings. See Lipinski’s rule of five. ↑ Teif V.B. (2005). "Ligand-induced DNA condensation: choosing the model". Biophysical Journal. 89 (4): 2574–2587. doi:10.1529/biophysj.105.063909. PMC 1366757 . PMID 16085765. ↑ Teif VB, Rippe K (2010). "Statistical-mechanical lattice models for protein-DNA binding in chromatin.". Journal of Physics: Condensed Matter. 22 (41): 414105. doi:10.1088/0953-8984/22/41/414105. PMID 21386588. ↑ Baron, Riccardo; Setny, Piotr; Andrew Mccammon, J. (2010). "Water in Cavity-Ligand Recognition". Journal of the American Chemical Society. 132 (34): 12091–12097. doi:10.1021/ja1050082. PMC 2933114 . PMID 20695475. ↑ See Homologous competitive binding curves, A complete guide to nonlinear regression, curvefit.com. ↑ Baaske P, Wienken CJ, Reineck P, Duhr S, Braun D (Feb 2010). "Optical Thermophoresis quantifies Buffer dependence of Aptamer Binding". Angew. Chem. Int. Ed. 49 (12): 1–5. doi:10.1002/anie.200903998. PMID 20186894. Lay summary – Phsyorg.com. ↑ Wienken CJ, et al. (2010). "Protein-binding assays in biological liquids using microscale thermophoresis". Nature Communications. 1 (7): 100. Bibcode:2010NatCo...1E.100W. doi:10.1038/ncomms1093. PMID 20981028. ↑ Vu-Quoc, L., Configuration integral (statistical mechanics), 2008. this wiki site is down; see this article in the web archive on 2012 April 28. ↑ Kenakin, Terrance P. (November 2006). A pharmacology primer: theory, applications, and methods. Academic Press. p. 79. ISBN 978-0-12-370599-0. ↑ Shonberg, Jeremy; Scammells, Peter J.; Capuano, Ben (June 2011). "Design strategies for bivalent ligands targeting GPCRs". ChemMedChem. 6 (6): 963–74. doi:10.1002/cmdc.201100101. PMID 21520422. ↑ Berque-Bestel, I; Lezoualc'h, F; Jockers, R (December 2008). "Bivalent ligands as specific pharmacological tools for G protein-coupled receptor dimers". Curr Drug Discov Technol. 5 (4): 312–8. doi:10.2174/157016308786733591. PMID 19075611. ↑ Welsch, ME; Snyder, SA; Stockwell, BR (2010). "Privileged scaffolds for library design and drug discovery". Curr Opin Chem Biol. 14: 347–61. doi:10.1016/j.cbpa.2010.02.018. PMC 2908274 . PMID 20303320. ↑ Kombarov, R; Altieri, A; Genis, D; Kirpichenok, M; Kochubey, V; Rakitina, N; Titarenko, Z (2010). "Bio Cores: Identification of a drug/natural product-based privileged structural motif for small-molecule lead discovery". Molecular Diversity. 14 (1): 193–200. doi:10.1007/s11030-009-9157-5. PMID 19468851.